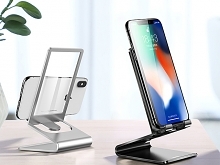 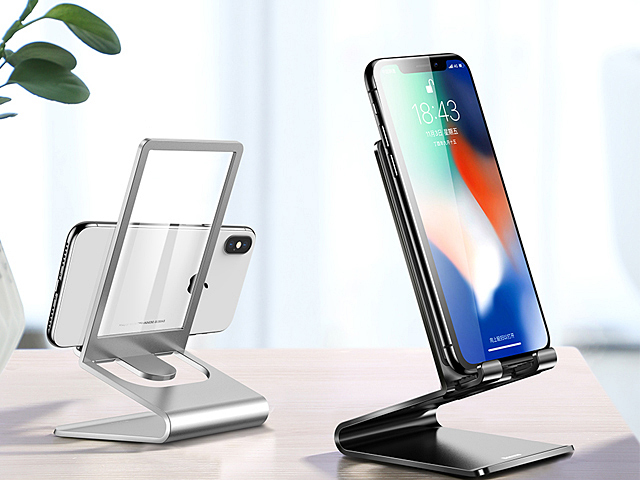 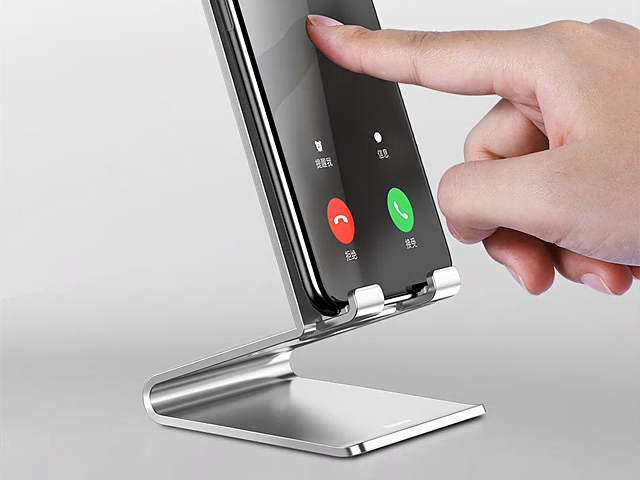 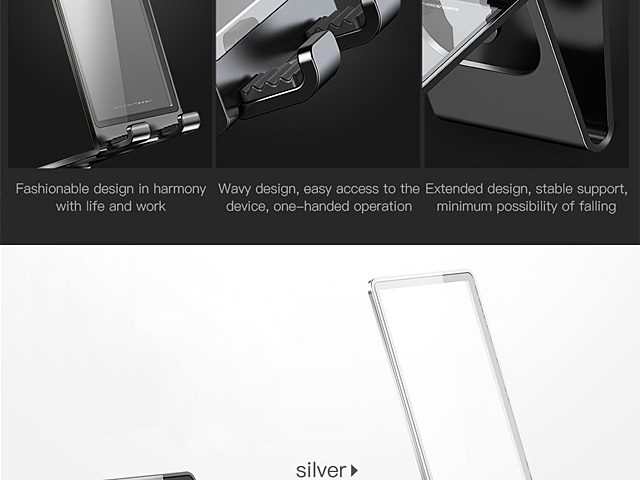 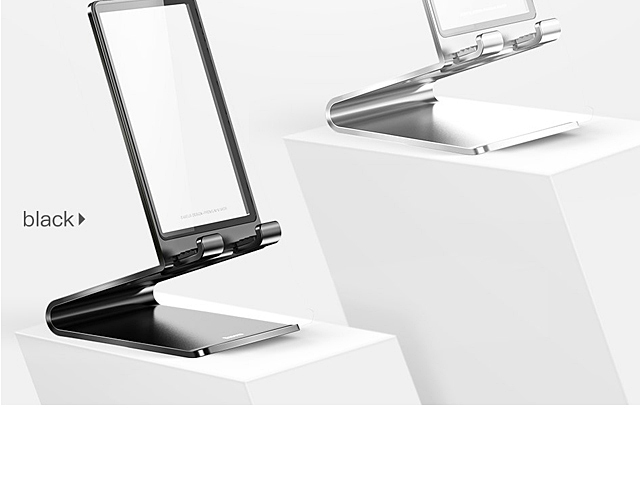 The Smart Aluminum Smartphone Holder Stand made of glass + aluminum alloy. 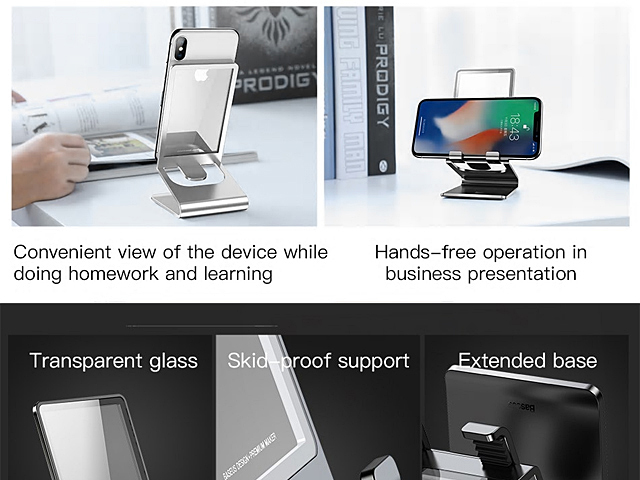 Hands-free vertical and horizontal views. 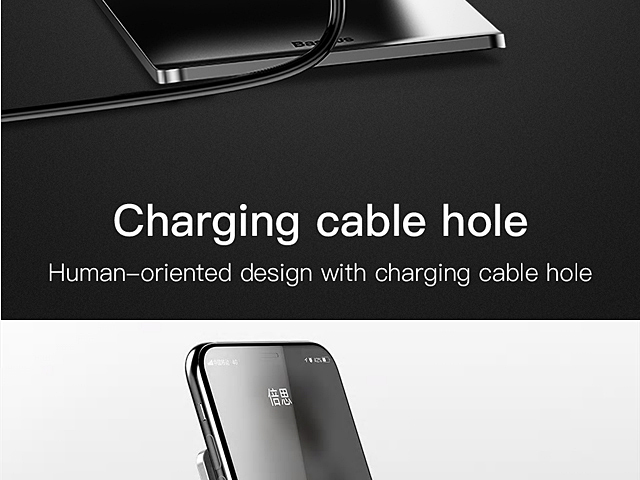 Human-oriented design with charging cable hole. 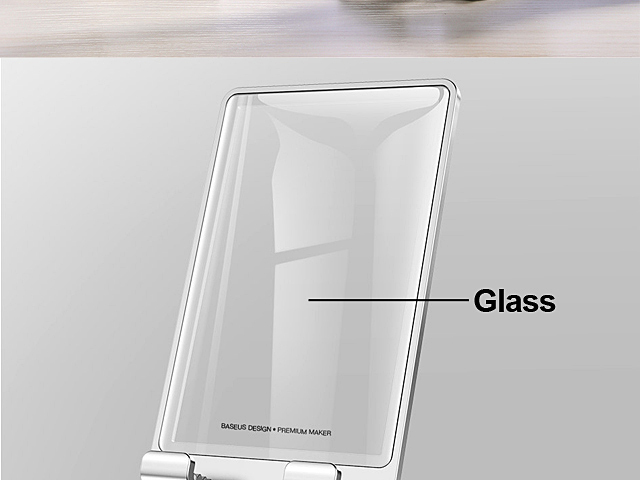 Bottom contact and phone support surfaces with skid-proof silica gel. 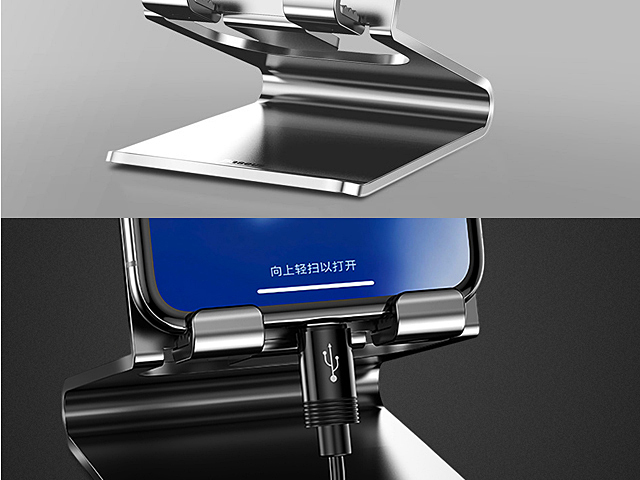 Stability and firmness protect the metal coating from wear.